It seemed natural to talk to former U.N. Ambassador Bill Richardson about the present state of U.S.-Russia relations and the future of that relationship with the Trump Administration. It also seemed natural to talk about Russia in NewsTaco for two reasons: one, the issue affects all Americans and U.S. Latinos are as interested in foreign relations as are all other Americans. And two, [tweet_dis]there are U.S. Latino experts who can talk to the U.S. Latino community directly on foreign policy issues, even though mainstream media does a good job ignoring them[/tweet_dis], and NewsTaco is the natural space for those voices to be heard. We spoke to the governor over a phone conversation and he told us that the U.S.-Russia siotuation is inherently precarious, it’s a zero-sum power struggle and he’s concerned about what the Trump administration could make of it. He also gave us a clear and concise breakdown of the issue and how this particular relationship can upset the balance of power and peace in the world. My suggestion is to listen carefully, and know that there are Latinos in the highest levels of diplomacy who are telling and living our story. 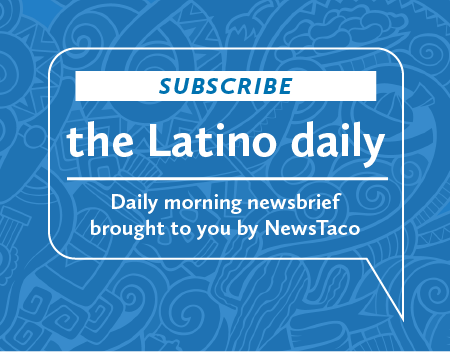 Help us share the true U.S. Latino story.